Musician, teacher and composer James Esmond reinterprets timeless classical melodies in the jazz style in this musical journey through some of the world�s most revered musical pieces. Original scores from Beethoven, Brahms, Mozart and other greats are given new time signatures and chord voicings, bringing them new life and expanding upon the emotion of each composition while retaining the touchstone of their original themes. Whether you�re a fan of classical or jazz or just want to expand your musical taste and repertoire, you�ll find something here to love. Music is presented in both standard notation and each-to-read tablature. 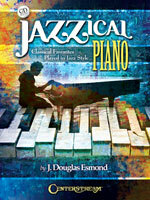 Musician, teacher and composer James Esmond reinterprets timeless classical melodies in the jazz style in this musical journey through some of the world�s most revered musical pieces. Original scores from Beethoven, Brahms, Mozart and other greats are given new time signatures and chord voicings, bringing them new life and expanding upon the emotion of each composition while retaining the touchstone of their original themes. Whether you�re a fan of classical or jazz or just want to expand your musical taste and repertoire, you�ll find something here to love. Combining picking patterns, chords strumming & melody lines for interesting and fun arrangements. 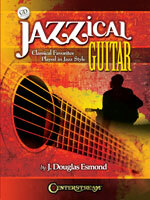 This new book will help anyone move beyond three chords and a strum! 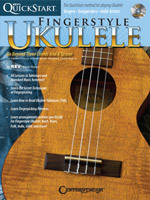 Kev covers techniques and patterns, tablature, music reading and much more, with arrangements written specifically for fingerstyle uke in styles ranging from Cletic to classical Perfect for uke newbies, or intermediate players. 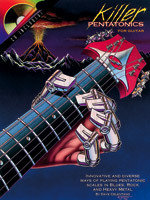 Covers innovative and diverse ways of playing pentatonic scales in blues, rock and heavy metal. The licks and ideas in this book will give you a fresh approach to playing the pentatonic scale, hopefully inspiring you to reach for higher levels in your playing. The 37-minute companion CD features recorded examples. The mixing of Spanish, Portuguese, African, European and native people in Latin America has blended into many music styles of the Argentina region. 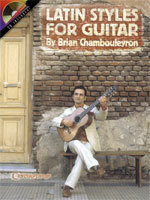 The beauty and variety of these musical styles have fascinated Brian Chambouleyron since his early days as a student. The 12 tunes in this book specially composed by award winning Argentinean guitarist, Brian Chambouleyron, display some of the different, original styles characteristic of the Latin American people. Particular attention is paid to these differences that contribute to the unique beauty and richness of the musical styles of the various countries. CD Included.